Being a Connected Educator has changed the way I think about education and has helped me understand the lives of our students in a completely different way. 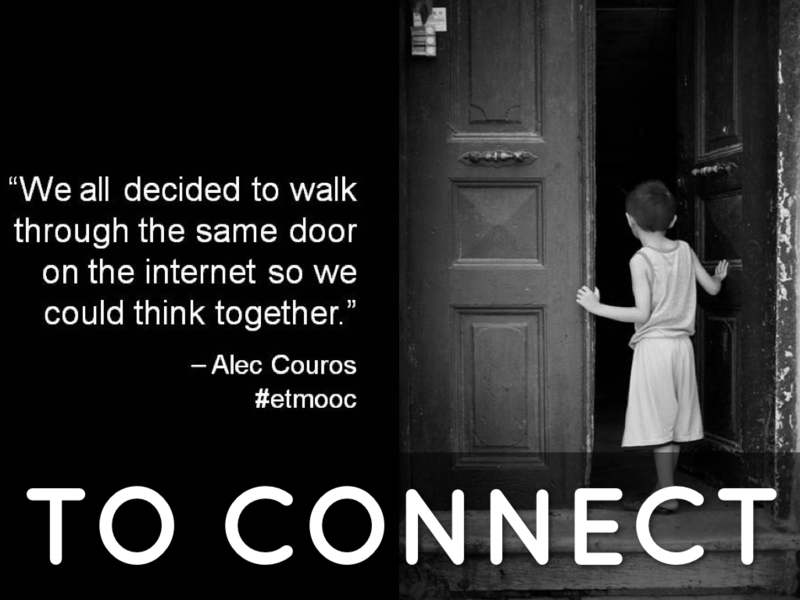 Nine months ago I was not a Connected Educator, but I wanted to grow professionally so I took the plunge and took a Massive Open Online Course called ETMOOC. That changed everything. I felt if I wanted to understand the world that our students live in then I too must learn what it is like. So for the last nine months I have entered into the connected online world and opened up a whole new world of learning for myself and the students I serve. Every time I am connected with others online I come away with new ideas and resources to share. For anyone who feels they are too old to do this, I hope I serve as an example. I started teaching in 1980 and I can still say that I LOVE what I do. Being a Connected Educator has helped me stay passionate about teaching and learning . I believe it has helped me be a better school counsellor as now I can connect with other school counsellors #scchat #cscchat from around the world and we can learn together. As a result of being a Connected Educator I am more open and want to serve as one model for positive Digital Citizenship for our students. Thanks to all of you who have shared your experiences, resources and optimistic attitude with me. This thanksgiving I am very grateful for you. I was excited to be able to participate, as I have known about Dr. Kutcher’s work for a while. I am happy to say all four days were absolutely worth it. I left feeling I had learned many things that will assist me in my professional work and as a result impact the lives of the students we serve in our school community. I also loved his dry wit which absolutely kept me engaged during the process. 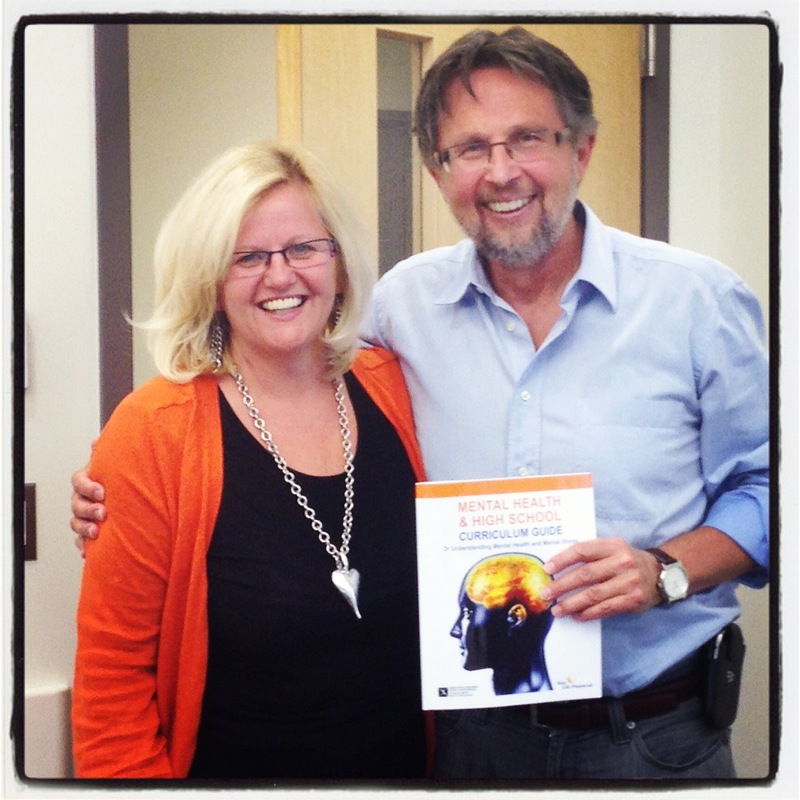 The training has fabulous resources for school counsellors, educators and mental health workers to utilize. This program is one of the best I have seen in a long time. It is rich in content, research, and resources. Too often we do not normalize what young people are feeling. It is normal to feel sad after a break up, but that does not mean the student is in a clinical depression. We need to teach our young people the difference between distress, problem and disorder and the Mental Health Curriculum Guide does just that. It teaches students and educators the Mental Health Literacy that they need in today’s world based on present day research on the brain. I really hope educators from around the globe will consider this fantastic program as part of any initiative that will benefit every student and family in their school and community.